Comscan LED scanners are compact, portable, high-performance, mobile DMX scanners with an advanced, high-performance LED source. 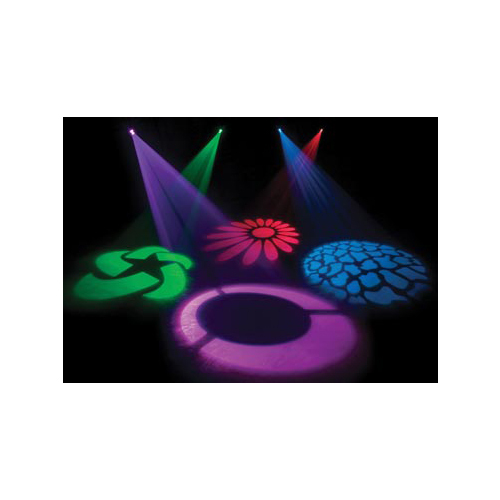 It features DMX-512 protocol with 5 DMX channels and produces exciting, built-in lighting programs. It's three operational modes include: DMX controller, master/slave, and sound-active. Very little maintenance is needed for these American DJ scanners, which can run all night, have no duty cycle, and stay cool throughout the entire evening with no cooling fan required. American DJ Comscan LED scanners have 8 gobos/colors plus one spot; the gobos and colors are on the same wheel. 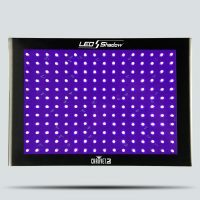 The effects light features both a gobo shake effect, dimming effect, and strobe effect. 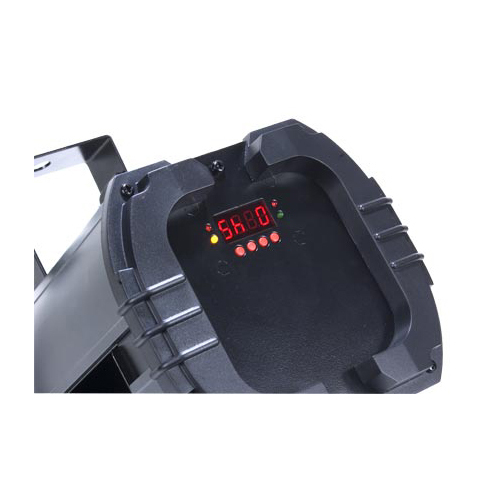 Also featured is a 4-button menu system with an LED display, making it easy to navigate. 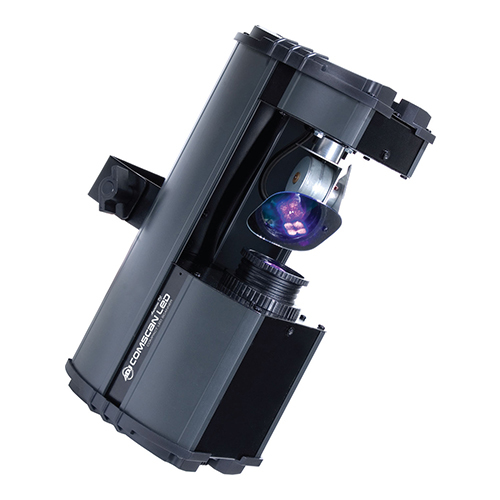 A manual focusing lens, stepper motors with micro stepping, and an included hanging bracket plus a safety hook are just a few more of the American DJ Comscan LED scanners’ appeals. Comscan LED scanners are compact, portable, high-performance, mobile DMX scanners with an advanced, high-performance LED source. It features DMX-512 protocol with 5 DMX channels and produces exciting, built-in lighting programs. It’s three operational modes include: DMX controller, master/slave, and sound-active. (Optional) UC3 is a 3-switch controller with program, blackout, and strobe modes. 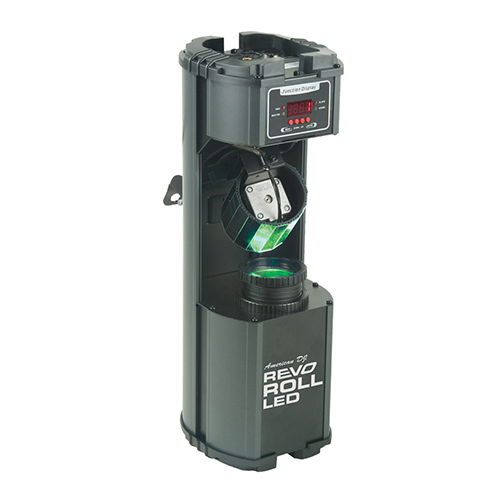 It works well with the Comscan LED scanner and with most products containing a 1/4″ input.